My expertise is DIY-PR – something I learned the hard way when I invented a product and needed to get people to know about it and buy it before I went bankrupt. I had no money for a PR firm or advertising, so I figured out how to get free publicity and it exploded my business. A few years later, I met a social media strategist, Karen Yankovich, and we started working together combining my DIY-PR expertise with her social media strategy. What we found was that by combining our talents with a plan, it created incredible success for our clients. Everything went much faster and grew much larger when we combined free publicity with social media. We created a new brand, Get Seen Be Heard, where we work with private clients but we also created programs where we teach people how to use this powerful combination of social media and PR together, so they can have similar success. What we discovered is that nobody is doing what we do, combining them together, at the same time, for incredible success, so we offer a very special niche service. Imagine if you could do the same thing for your clients? The key to doing this right is the strategy. We’ve perfected a PR/Social Media strategy that works successfully over and over and over again. Below are five tips to get you started on this now so you can start to see success for your clients as early as… today. Who is writing about your client’s topic of expertise? Which reporters (online, TV, magazine and newspapers) report on your client’s industry and more specifically, in a niche they specialize? Who is talking about what they could talk about? 2. Connect with these influencers on Twitter (on behalf of your clients). Create a Twitter list called “Influencers.” Make it private and add these influencers to the list. 3. Connect with the influencers on this Twitter list on LinkedIn (If you are handling your client’s LinkedIn profile). In the connection request, be sure to mention – as if you were your client and in their voice, “I just read your article/saw your segment. I loved it, and would love to connect with you here on LinkedIn.” Stay personal, authentic, and real. Their profile picture is up to date and professional. There shouldn’t be a happy hour picture, a vacation picture, or them with their kids. Remember, this is a business-networking platform. Save the “fun” profile pictures for Facebook. You’ve posted a few updates recently for them that show up in the “Posts” section. Now that you’ve built the foundation, it’s time to make sure influencers know your client exists. I promise you that journalists know who is paying attention to their work. Make sure your client’s name is recognizable to the media as someone who adds value, is an expert, and is generous with sharing their content. This is where you begin to build the relationship — long before you ever contact them directly. It’s always better to make connections and foster a relationship before you need the media or an influencer. This way, when you have an idea, a pitch, or a prospect, you are approaching them as a warm contact. This means the possibility of a successful outcome is exponentially higher. The influencer is much more likely to respond favorably to your request than if it comes from a cold source. 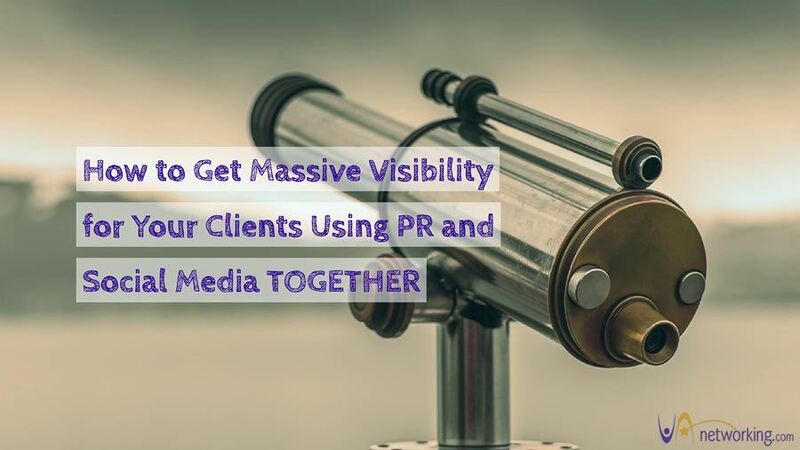 These media contacts can be of huge value to you, because one nicely placed media shout-out of one of your clients can bring YOU tons of new business because you can promote what you can do for new clients in terms of their visibility and reach, and also who you are connected with. The best part? These five steps are all free and very easy to implement. It doesn’t take a lot of time either, if you spread them out over a week or two. You should be seeing results very quickly. What would providing these services to clients do for your business? What if you could get your clients on television, in magazines or newspapers or on the radio, regularly exposing them to potential clients? How much more could they charge? How much more will you be able to charge to offer this exclusive service? Social media and PR together is a game-changer and by learning how to use this powerhouse competition, you will stand out in the Virtual Assistant crowd. Christina Daves is a do-it-yourself publicity expert. 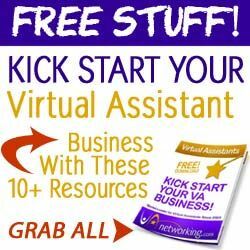 She is the best-selling author or PR for Anyone™ 100+ Affordable Ways to Easily Create Buzz for Your Business. Christina has appeared in over 250 media outlets including TODAY, Steve Harvey, local affiliates of ABC, NBC, CBS, and FOX, The Washington Post, Forbes, Success Magazine, Sirius XM Radio, and more. She is also a sought-after Keynote speaker and corporate trainer.